A Pittsburgh-based publication is helping to spread the word about the region’s latest project-based inventing curriculum that also promotes STEAM (Science, Technology, Engineering, Arts and Math) education. Trib Total Media contributing writer Joyce Hanz recently published “Inventionland helps build new products, entrepreneurs,” where she explored our CEO and founder’s inventing history, our creative design warehouse and what has become a natural extension of the creativity that flows from our design headquarters each day, our Inventionland Institute curriculum. Imagination, innovation and invention are just three words that Hanz uses to describe the project-based curriculum that has been adopted by The Kiski School and accredited by the DuBois Business College. 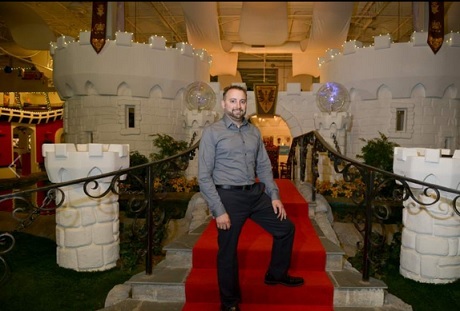 In the article, Hanz talks with Inventionland Institute President and Inventionland Executive Director of Design Nathan Field, who explains just how naturally the academic-outreach mission flowed from our creative space. 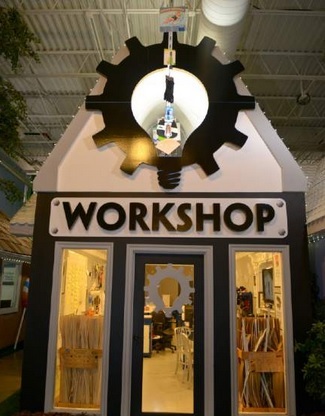 “Teachers would always inquire about curriculum offerings when the students would tour Inventionland on field trips. This is a natural extension of what we do at Inventionland. The students really love this concept — especially those interested in entrepreneurship,” says Field in the Trib LIVE article. Inventionland CEO and founder George Davison also discusses with Hanz just what an important part the problem-solving process plays in the Inventionland Institute curriculum. “Most curriculums just present students with a problem that has a predetermined solution… This new project-based curriculum teaches kids how to identify a problem and then walks them through how to create their own custom solution to that problem…” says Mr. Davison in Hanz’s article. You can read more about the excitement that the Inventionland Institute curriculum is creating in the community in the entire Trib LIVE article.